It’s all about the politics of the Space Race…. After Yuri Gagarin and John Glenn were rocketed into space in the early 1960s: The two world superpowers, in effect, turned outer space into their personal fiefdom. For almost 15 years, only U.S. and Soviet astronauts departed Earth. However, in the mid-1970s the situation began to change. Washington announced it was including the first non-American in a space mission. When the USSR heard the news the powers that be were determined not to be outdone by the capitalists, so they sent representatives of the "fraternal socialist countries" into space before America had a chance to blast a foreigner out of the atmosphere. This is how the Interkosmos program was born. In addition to joint scientific research, its main point was to include representatives of friendly countries in Soviet space crews as "research cosmonauts" - to involve other nations in space exploration. However, this begged the question: Which foreigners should be bestowed the honor of being the first in space? 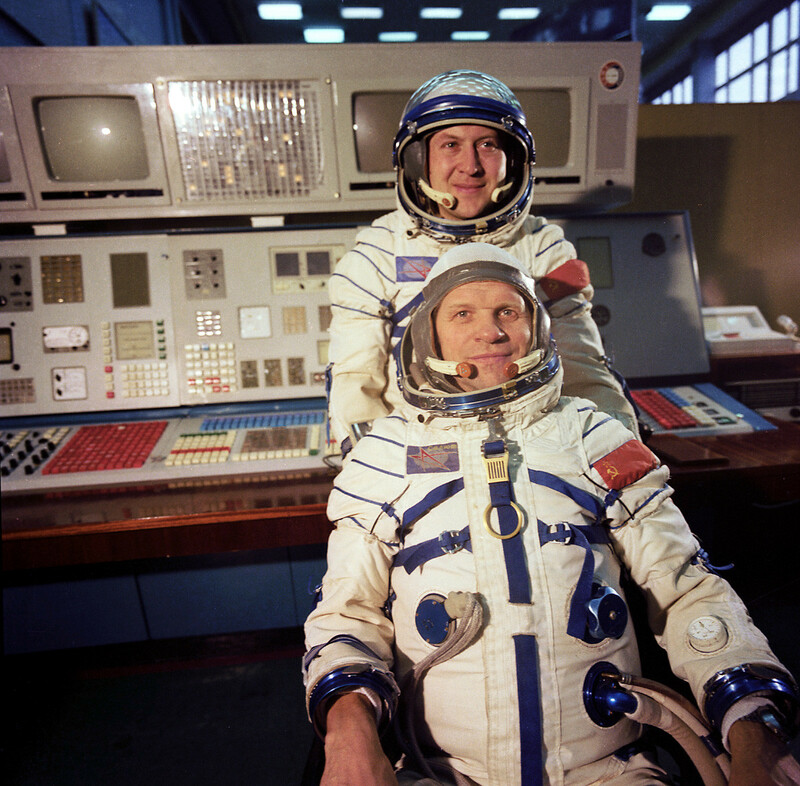 Crew members of the Soyuz 28 international space mission: Vladimír Remek (Czechoslovakia) and Soviet cosmonaut Alexei Gubarev. The choice of candidates was driven mainly by politics. Priority was given to representatives of the USSR's important allies in the Warsaw Pact: The GDR, Czechoslovakia, and Poland. In the end a Czechoslovakian was chosen in a bid to repair relations between the country and the Soviet Union, which had been damaged after the Prague Spring of 1968. 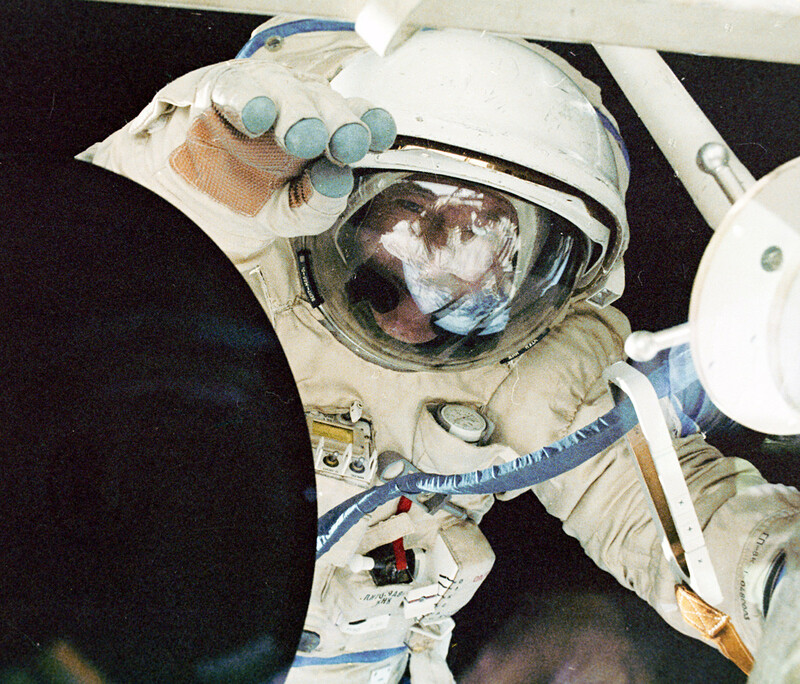 Ten years after those events, in 1978, Vladimir Remek, the first cosmonaut not to represent any of the two space superpowers, breached space together with Soviet colleagues on board the Soyuz-28 spacecraft. 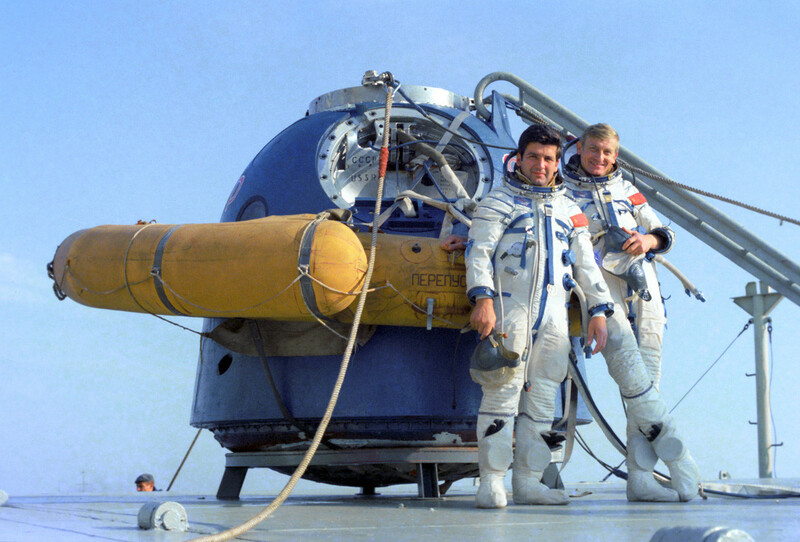 The members of the international crew of the Soyuz-30 spacecraft: Pyotr Klimuk, pilot-cosmonaut of the USSR, and Mirosław Hermaszewski, cosmonaut-researcher from the Polish People's Republic. Following Remek’s footsteps, two more cosmonauts from the Eastern Bloc went into space the same year: Mirosław Hermaszewski from Poland and Sigmund Jähn from the GDR. 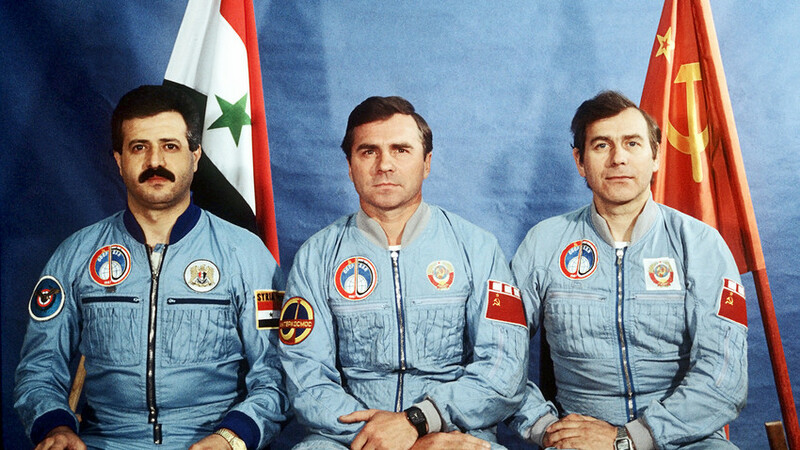 Other Warsaw Pact allies followed suit: Romania, Hungary, and Bulgaria, so too Vietnam, India, Cuba, Mongolia, Syria, and even Afghanistan, which at the time (1988) was in a state of civil war - all sent cosmonauts into space as part of Soviet crews. 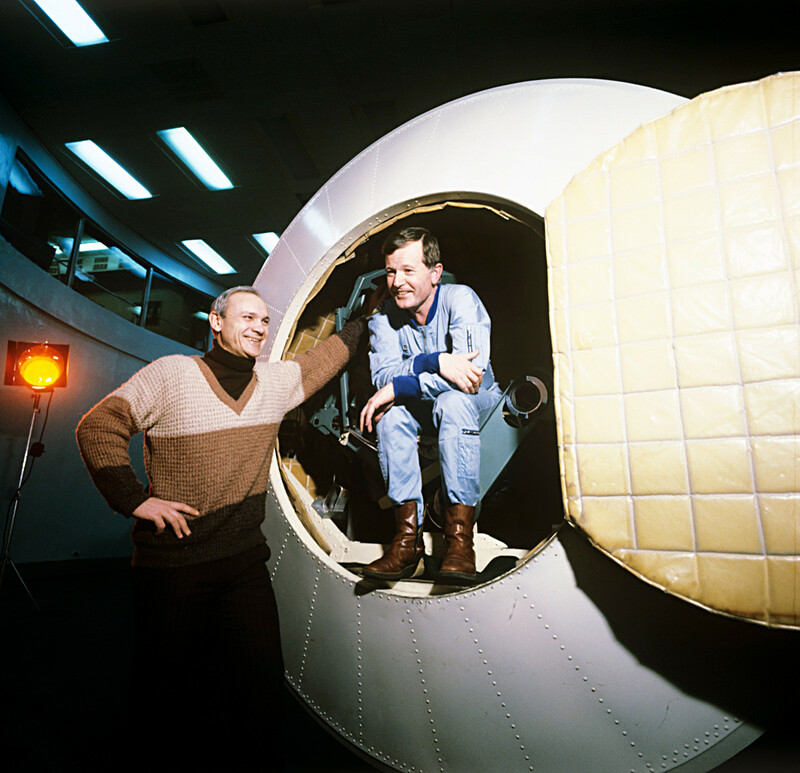 The only representative of a Western country to join a space mission on a Soviet ship was French military pilot Jean-Loup Chrétien. The USSR, which at the time had good relations with France, gave the green light to a representative of the capitalist world. The French cosmonaut has fond memories of his work with Soviet colleagues in the Cosmonaut Training Center in Star City: "We found ourselves in a real family with an atmosphere of brotherhood... I left one half of my heart there. I feel nostalgic and at every opportunity, I go back to Russia, to my friends." The Interkosmos program ended in 1991, together with the collapse of the USSR. It allowed 13 "non-space" countries to join in space exploration and send their cosmonauts on missions. For most of those countries, those space missions still remain the only ones in their history. With the end of the Cold War, the political component in the space race faded into the background. From the early 1990s, many cosmonauts from Western countries have formed part of mixed crews on flights on Russian spacecraft. Alyoshenka the Kyshtym Dwarf: the ‘alien from outer space,’ or boy mutant?